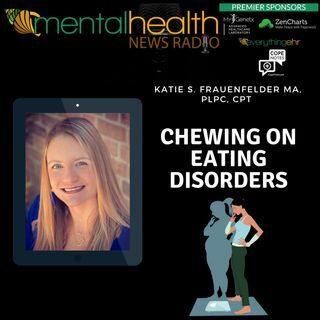 Join host Kristin Sunanta Walker and Katie Frauenfelder as they take a different tack when it comes to discussing eating disorders. Katie understands this disorder from her own personal experience as well as her clinical training which makes for a deeper and more vulnerable discussion about a very sensitive topic. Katie S Frauenfelder MA, PLPC, CPT is an NASM Certified Personal Trainer as well as a Provisionally Licensed Professional Counselor. She strives to utilize her education and ... See More experience in both fields to provide a holistic approach in her practice. She specializes in eating disorders, specifically in athletes and individuals struggling with compulsive exercise. Her goal is to help clients find a healthy balance nutritionally, mentally, and physically. She is also versed in depression, anxiety, bipolar disorder, borderline personality disorder, OCD, PTSD, abuse, sexuality, self-harm, addiction, and trauma.